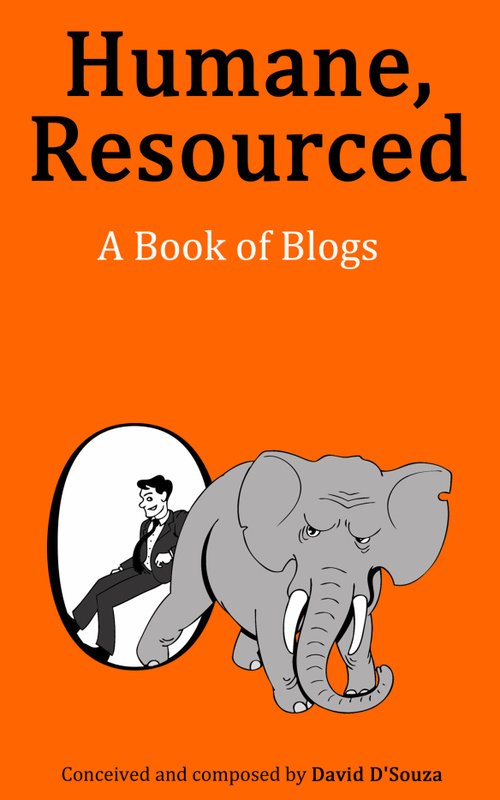 A few months back I saw a request for contributions for a book of HR blogs. “This could be interesting” I thought, so I put myself forward. I’ve never met David D’Souza but he had a bit of time on his hands and decided to do something productive with it. Before long he had over 50 contributors and his little project has now been published on Amazon as an e-book. David’s blog, 101 Half Connected Things, is on my blog roll so check it out. But more importantly, go and download a copy of Humane, Resourced: A Book of Blogs and read all these contributions from 53 HR bloggers from around the globe. All proceeds are going to charity. I am proud to be involved and my own contribution is re-produced below as a little taster. It is also great to see contributions from a couple of other Kiwi bloggers, Amanda Sterling and Jason Ennor, as well as our friend from across the ditch Sarah Miller. As always, little old New Zealand is punching above its weight. It is also a personal highlight to have my blog appear just before the contribution from the great Lembit Opic, former UK MP and I’m a Celebrity, Get Me Out of Here contestant. Remember that wonderful scene in Monty Python’s Life of Brian when a group of resistance fighters discuss the question “so what have the Romans ever done for us?” The answers come back thick and fast – roads, education, irrigation etc. I’m of the view that we are in the midst of a huge culture change amongst enlightened HR professionals who are looking more towards collaboration as a way forward than the traditional and secretive patch protection. I am starting to see this more and more. HR bloggers share and re-post/tweet each others posts so they reach a larger audience, groups of people who have built trusted relationships online then meet in groups or individually to share ideas and network, collaborative projects like this book come about through crowd sourced ideas. In addition to this project, I am also currently co-authoring an e book on the future of HR with someone on the other side of the world I have never met. I am also taking part in the HR Hackathon. Both of these opportunities to collaborate with some of the best HR people around the world have come about as part of large international projects conducted largely online. But it’s not all about social media. I’m seeing more and more examples of HR professionals collaborating in different ways and both globally and in my own country. I have recently got involved with the newly established New Zealand Association of Graduate Employers (NZAGE), which is a collaborative association run by graduate employers for graduate employers. I know they’ve had similar associations in the UK, US, Australia, Canada and South Africa for many years so associations of this type are nothing new, but New Zealand has a small population where specialist graduate recruiters are as rare as hens’ teeth because we don’t have the size or scale of graduate opportunities that other countries have. When it was set up, there were those that said it couldn’t be done or would never work. The thought of sitting in a room with other employers, many of them your direct competitors, and sharing ideas and talking abut how your organisation does things is still a totally alien concept to many HR and recruitment professionals. Let’s not even start to talk about unconferences! #NZLead is another example. A weekly tweet chat on all things HR started by a couple of enlightened HR professionals in NZ that now enjoys global participation and facilitation each week. Great collaboration. But it’s the bigger possibilities I’m really interested in here. The tools and technology available to us these days allow us to work in a truly mobile, social and independent way. These are the keys to greater workforce collaboration both internally and externally. Imagine a world in which large companies share their HR resources. Perhaps a large corporate lending their remuneration expert to a not for profit for a few weeks to help them with a project just because it’s a win/win for everyone, or HR Managers from competitors working collaboratively on something that will benefit their industry as a whole. Imagine companies openly sharing their HR data so they can better understand what is really happening out there. Or HR resources that are co-funded by two or more smaller organisations and works part-time in each. And that’s just some HR thoughts. Think about the impacts in wider business, politics, education etc. All of these things are starting to happen and that is what is so exciting about the times we live in. It’s not what you might be giving away that counts, but what you do with what you have. Sure, knowledge is power but if you think that is all that matters you are going to get left behind. As the saying goes, collaborate or die.